This steam locomotive, a 2-8-0, built by the Baldwin Locomotive Works started its life as the Oneida & Western Railroad No. 20 in 1916. 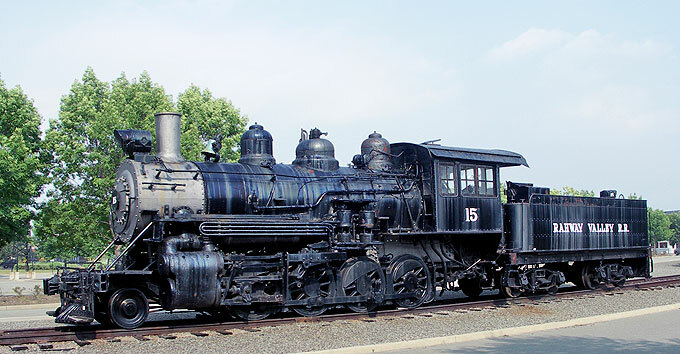 In 1937 the O&W sold the engine to the Rahway Valley Railroad where it was number 15. It saw regular service until January 1951. The locomotive saw it's last day of service in November 1953. 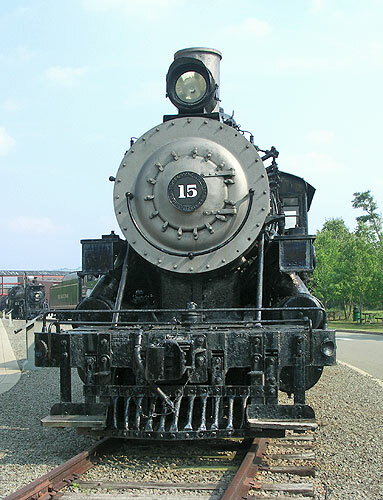 In 1959 F. Nelson Blount, then the president of the Edaville Railroad, bought the Rahway Valley RR #15 It's now on static display at the Steamtown NHS in Scranton, PA.